At Crest, we have access to all of the national car insurance carriers which allows us the flexibility to meet most any budget with a variety of options. Our auto insurance agents pride themselves on delivering exceptional service, due in part to their ability to assist you throughout the entire process, including gathering bids and servicing your account even after your plan is in place. With over 40 years of experience in the insurance industry, we are the experts you can turn to when determining the types and level of auto insurance you and your family require. Liability insurance pays for the policyholder’s legal responsibility to others for bodily injury or property damage. 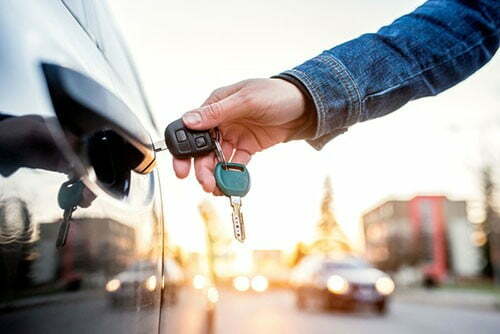 Collision and comprehensive insurance cover property damage and theft to the policyholder’s car. Your individual circumstances should dictate the level of your liability coverage. Auto liability awards can be quite substantial, so it’s important that you are not underinsured. The Insurance Services Office (ISO) estimates that about 20 percent of people who do have insurance purchase just the minimum liability coverage in case they hurt someone else. Having uninsured and underinsured coverage can be a real asset should you end up in a serious collision. If you have any doubts about the appropriate level of automobile coverage that’s right for you, we will be happy to help pinpoint the coverages best suited to your needs. Please contact us with any inquiries you may have or to schedule a complimentary insurance coverage review!